The futuristic story of The Hunger Games was written by Suzanne Collins and consists of 3 books in total. The first of which goes by the same title, the second is called Catching Fire and the final volume is called Mockingjay. They were published in 2008, 2009 and 2010 respectively. The setting is a not too pleasant North America (now called Panem ) at some time in the distant future. The area is divided into twelve districts with names like Textiles, Power, Fishing, Agriculture, Luxury and seven others in a similar vain. The Capitol is the powerful ruling sector and is surrounded by the 12 districts. A boy and a girl from the districts are selected each year to fight a death match live on television. Katniss Everdeen is one of those selected and the books outline her story from her own viewpoint. 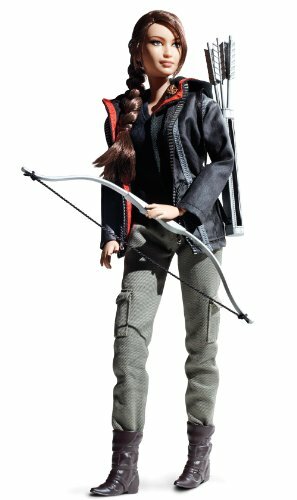 Get the very best Hunger Games Collectibles from Amazon. Suzanne Collins, the great fantasy fiction author, wrote the trilogy of books, one per year starting in 2008. They were phenomenally successful, particularly with young adult readers in colleges and universities. So much so, that the making of the movie was a foregone conclusion. The 3 book titles in the series are given below and you might like to read them before seeing the movie. 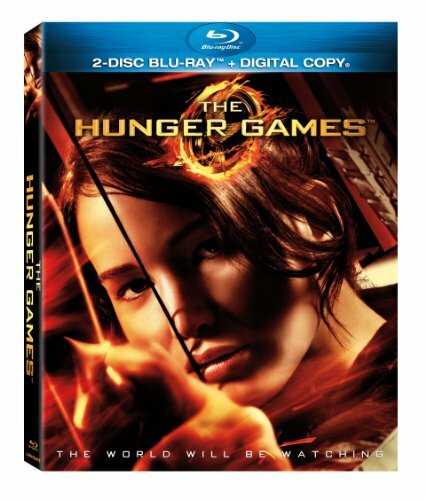 The Hunger Games Trilogy Boxed Set is available from Amazon if you wish to read the bestseller. The mockingjay has become a popular icon and is featured in several jewelry pieces and rings for fans of the books. Your enjoyment of the movie will be much enhanced if you read the book first. The Hunger Games movie is based on the same named book and the screenplay is also by the author Suzanne Collins (working in conjunction with the director Gary Ross). The Hunger Games movie trailer is at the bottom of this article if you can’t wait for the release date which is March 23, 2012. I saw the movie on opening night and can confirm that it lives up to all the hype and is a good representation of the first book. Katniss Everdeen is the main character in the film and her sister is called Primrose Everdeen. They live, with their mother, in one of the poorest of the 12 districts that comprises Panem. The son of the town baker is named Peeta Mellark, who is also from District 12 and he and Katniss were at school together but must now do battle against each other. Their joint mentor Haymitch Abernathy is a drunk, but was a former winner of the games. Gale Hawthorne is two years older than Katniss and is her best friend. Academy Award winning actress Jennifer Lawrence (who played the character of Raven / Mystique in X-Men) plays the main character Katniss Everdeen in the movie version of the books. Jen made her debut (initially in advertising) when she was just 14 years old. Willow Shields plays her younger sister Primrose Everdeen. The male lead is Josh Hutcherson who plays Peeta Mellark who is a baker’s son. Josh starred in ‘The Kids Are All Right’ in 2010. Liam Hemsworth plays Gale Hawthorne, the best friend of Katniss. Liam made his name in the Australian soap opera ‘Neighbours’. Effie Trinket, a District 12 chaperone, is played by Elizabeth Banks who had roles in Spider-man and Seabiscuit 8 years ago. Well known, but somewhat older actors, such as Donald Sutherland, Woody Harrelson and Lenny Kravitz appear in the movie playing the parts of President Snow, Heymitch Abernathy and Cinna respectively. Will we see Katniss in Lego? Lego have never been slow to cash in on big movie releases and have produced Batman, Star Trek and Harry Potter Lego sets in the past. This year’s movies have sparked new Hobbit Lego so I expect (hope) to see Lego minifigures of Hunger Games characters later this year following the movie release. Thank you for this information! I have heard about the Hunger Games, but had no idea what they were about. I'll have to check them out before the movie is released. Thank you Belinda for you visit and comment. Judging by the sales figures for the books there is every chance that the movie will be a blockbuster. The mockingjay pin sells really well already before the movie is even released. loved the trilogy! first set of young adult books that i enjoyed reading in quite a long time. i may or may not already have tickets to watch the midnight showing of the movie . . . thx for the overview! Thank you moanasaves for your comments. I am a long way removed from young adult status myself but you can bet your bottom dollar that I have tickets for the first showing. I enjoyed the book so much that I could not put it down. The last time I had stayed up half the night reading was when I read lord of the Rings many moons ago. Everyone's hungry for the hunger games! Hi WebAddict, we all sure are! I have my tickets booked. The Hunger Games movie is over 2 hours long. Lets hope that we are not disappointed by Katniss and Rue. Unlikely, I'd say. Only one way to find out. Watch and see! Hello and thanks for your article. I am a part-time librarian and we have not been able to keep her books on the shelf - they are constantly put on hold for readers. I haven't gotten to them yet because i am reading the "A Song of Ice and Fire" series by George R. R. Martin. I just started the 3rd book - you had mentioned the Trilogy and this is equally good....I hope to get to Collins books eventually! Liked. I wrote the reply before I thanked you for your comment. Sorry about that, and thank you! Her style of writing is so different to that of GRRM but both are excellent in their own way. I am on book 5 called 'A Dance with Dragons' but we may be many years waiting on books 6, 7 and there is a possibility of an eight book too. As for The Hunger Games the situation here is exactly the same; the libraries have reserves on all of her books, and the movie opening will just add to the numbers waiting to read all about Katniss Everdeen. Having read all of these book my suggestion is that you switch to the first book of the Hunger Games NOW! You wont be disappointed. Very interesting. I heard someone say that 87% of movie critics and 90% of the public liked this movie, and that is a very high percentage rate. Thank you for your comment, Introspective. I was not aware of these figures but I have read the book and (of course) went to the first screening of Hunter Games. I liked the movie a lot and it held true to the book. Lenny Kravitz and Woody Harrelson are excellent. In my opinion, you will enjoy the big screen version more if you have read the book first. The book is a quick read too, as it is very difficult to put down once you start it. I just finished the first book & am heading out to see the movie today. Definitely very excited to see how the movie compares to the book, especially given the high rates of approvals from the movie critics. Thank you Shogun Writer for your comments. Reading the book is a big plus before going to see the movie. It all just makes so much more sense as you can fill in the gaps easily. I hope you enjoy it, I certainly did. Hi Tom, I've heard so much about The Hunger Games, and feel torn about reading them. I like trilogies and books with re-occuring characters. I read a review last night, but the guy who wrote it said that the main female character was annoyingly indecisive, but your review seems much more positive. I always like the book better than the movie. I loved the Lord of the Rings, and just finished Stephen King's Tower series (a book review on HP you may want to check out) as I love SK, but 7 books is a big commitment to somebody like me trying to write all over the place. I do read 2 or 3 books a week though. Do you think I would like these? You seem to think they are worth reading. Hello Jean, I would recommend these books to any fan of fantasy fiction. Great escapism, even for serious readers who prefer autobiographies, historical novels and such like. I have loved fantasy fiction all my life and found this trilogy so un-put-downable. Suzanne Collins will never be a Tolkien or even a George RR Martin (Game of Thrones writer likened to JRR himself) but the story concept is very good. I enjoyed the books immensely and attended the movie as soon as it screened here. Its great too. I will be delighted to look at your King review as I have read a lot of his early stuff. My brother is a big fan too. Thank you so much for the great comments. Hi Tom, I'm finally ready to begin reading the books. I got a Kindle for Christmas so have been reading even more than usual, it's so easy to get carried away ordering books. I like fantasy books too.